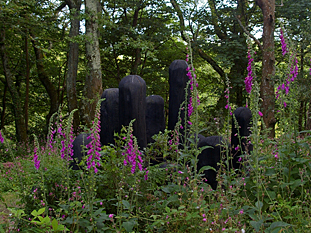 Tremenheere Sculpture Gardens is a major new attraction in West Cornwall which opened mid September 2012. 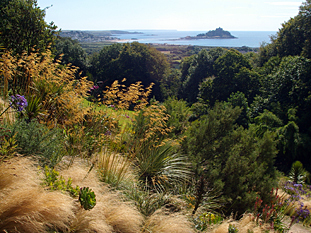 In a beautiful sheltered valley, the woods, stream and dramatic vistas provide a perfect setting for large scale exotic and sub-tropical planting. 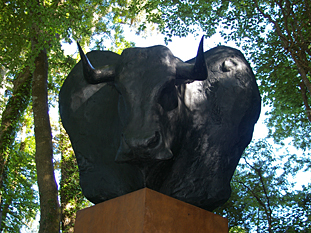 Interwoven with this there is also an evolving programme of high quality contemporary art installations. Tremenheere promises to be one of the great British green spaces of the future. This garden is already quite unique because of its position and unusual climate, give it another half century as the plants mature and you’ll have a genuine Garden of Eden. Follow the A30 Westbound toward Penzance. When you reach the outskirts of Penzance take the 3rd exit at the Morrisons roundabout onto Jelbert Way. Pass B&Q etc on your left. Take the first right onto onto Posses Lane (signposted Gulval). Follow the signs to Churchtown Nursery (two rights), continue past the nursery on your right and after 3/4 mile turn left, signposted Tremenheere Sculpture Gardens and then turn right into our car park.